BMC supports Oral, Head and Neck Cancer Awareness month in April with a focused campaign week starting April 7th, led by the Head and Neck Cancer Alliance. 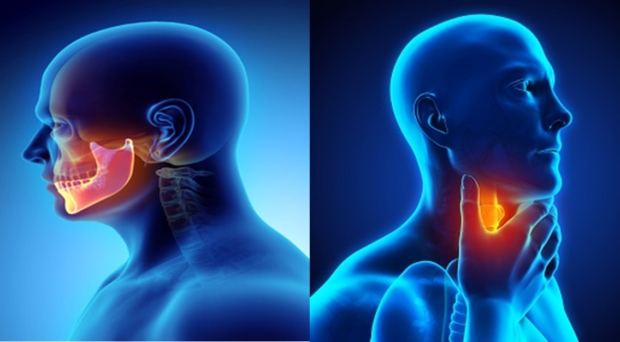 In this blog, our Editors highlight some of the recent developments and emerging research areas on oral, head and neck cancers. This year, we’ve also created a quiz to complement these highlights and our author blog addressing Commonly Held Myths of Head and Neck Cancers. Head and neck cancer accounts for 5–10% of all cancers in the United States and Europe. Oral, head and neck cancers are categorized by where they originate: either in squamous cells that line the head and neck or in the salivary glands. These cancers are then again subcategorized by the physical anatomy of where the cancer resides. An even more unique distinction is a sub-classification of head and neck cancers that is defined by an infection, Human Papillomavirus (HPV)-initiated oropharynx cancer. These HPV-associated cancers represent a different disease with different etiology, treatment tactics, and molecular profiling. This field of research is moving rapidly with new discoveries and challenges. We intend to impact the direction of research and clinical care in oral, head and neck cancer. All over the world people are helping spread these messages through thousands of activities. Join this month’s campaign by using the hashtag #OHANCAW. Locally advanced high-risk HPV related oropharyngeal squamous cell carcinoma (OPSCC); have we forgotten it is a different disease?